Matthew was the sole editor and contributor of new content for Ubuntu Unleashed 2019 Edition. This book is intended for intermediate to advanced users. Matthew was the sole editor and contributor of new content for A Practical Guide to Linux Commands, Editors, and Shell Programming, Fourth Edition. Matthew notes that he feels he is standing on the shoulder of a giant as the previous author, Mark Sobell, has been incredibly helpful in the hand off of the book. Mark is retiring and leaving behind a great foundation for Matthew. Matthew led the team that updated The Official Ubuntu Book for this ninth edition. The book continues to serve as a quality introduction for newcomers to Ubuntu, both the software and the community that surrounds it. There are things that happen in the world that are difficult and sometimes impossible to explain. At times, we are confronted with circumstances or situations over which we have no control. How we deal with those situations reveals much about our strongest beliefs, our dreams, and our fears. This collection of short stories explores specific instances of involvement with or belief in the supernatural in one North African country. The tales, all claiming to be true, were collected over several years while the author was living in Morocco. The book is available from Amazon.com. This book is licensed under a Creative Commons Attribution-Noncommercial-Share Alike 3.0 Unported License and as a result is also available as a free download in PDF format (but without the cover art) from the Internet Archive. This project started as a language learning experiment. 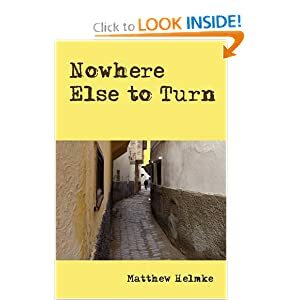 Matthew Helmke was sitting in a cafe with a Moroccan having a discussion in Moroccan Arabic. The friend told a joke and it was quickly discovered that vocabulary alone would not ensure an understanding of humor. 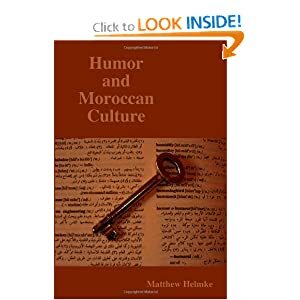 This prompted a question, “What did I miss?” In this book, Matthew Helmke explores the hidden aspects of Moroccan culture. These are the things that Moroccans know inherently, without being taught. The result is an intriguing look through the eyes of an American trying to make sense of Moroccan culture. This book is licensed under a Creative Commons Attribution-Noncommercial-Share Alike 2.5 License and as a result is also available as a free download in PDF format (but without the cover art) from the Internet Archive.